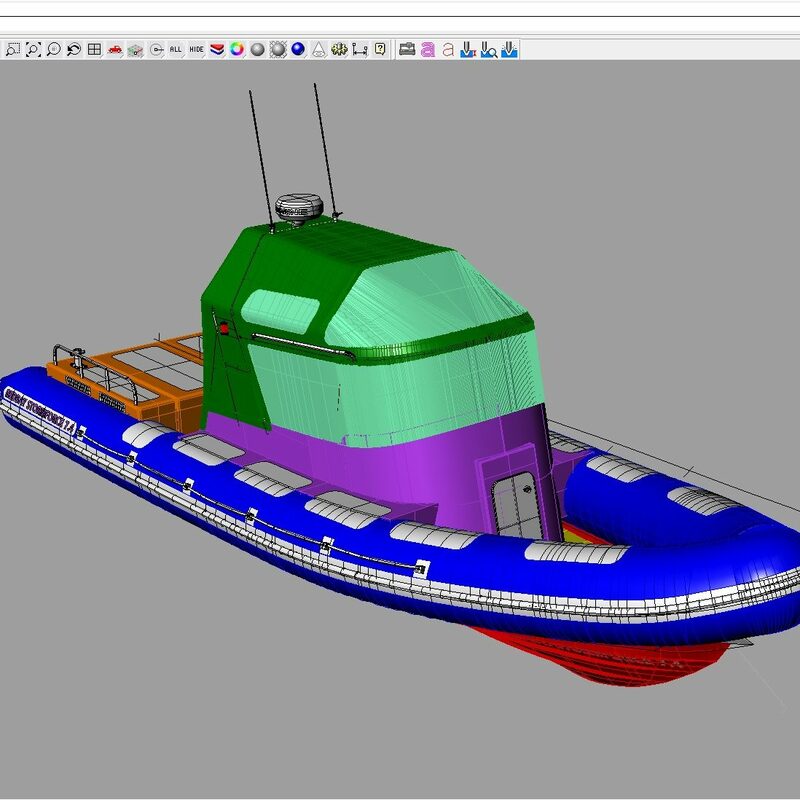 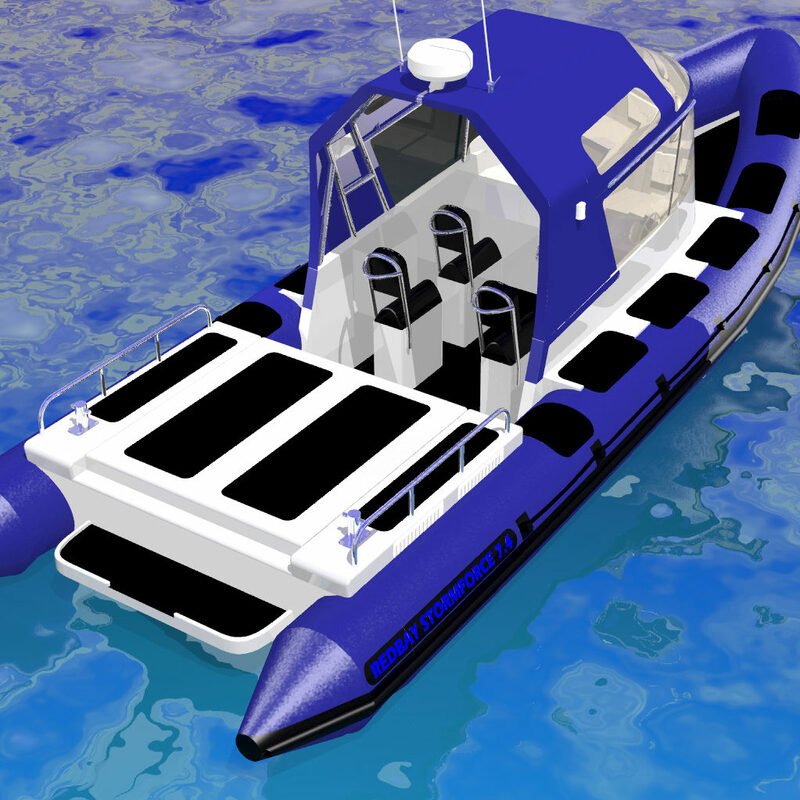 The Stormforce 7.4 was a development of the very successful Stormforce 6.5 It exhibits the same hull dead-rise and hard chine features of its 6.5 metre sister ship whilst delivering more load carrying capability. 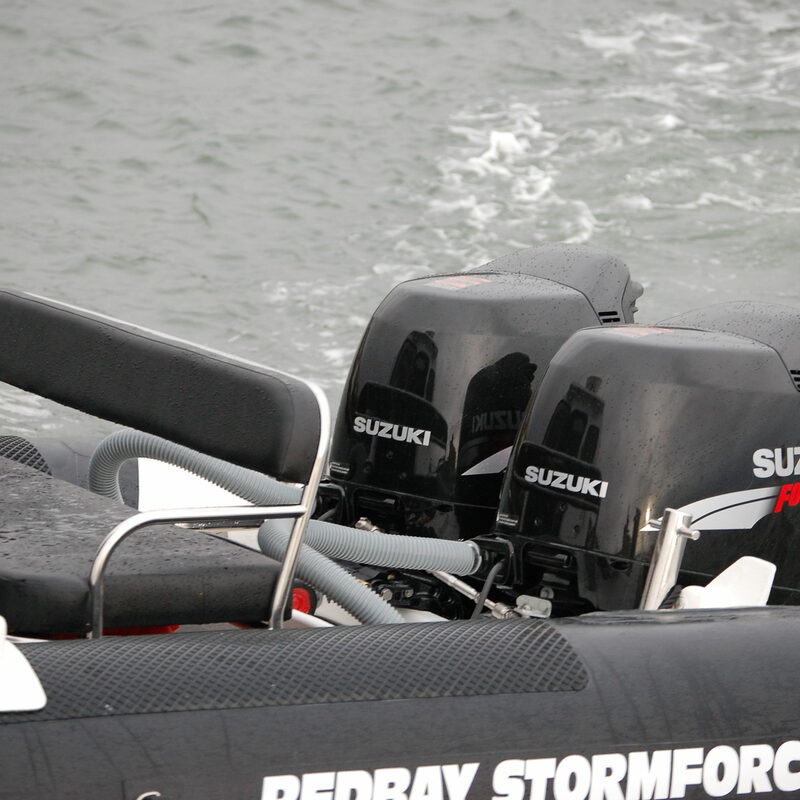 Both boats would be considered the driest in their class, mainly due to the unique down angle design of the outer spray rail, this feature is common on all Stormforce hulls. 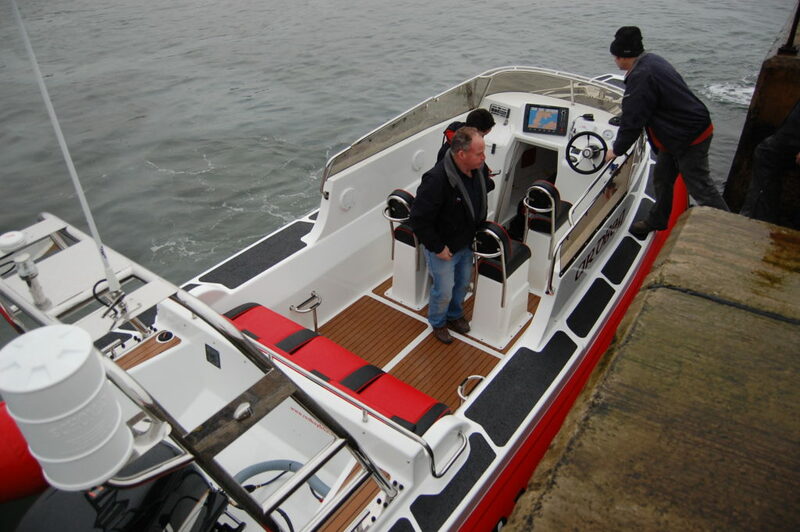 The hull is one of the widest in its class, this makes for a stable and sure-footed ride whilst still being road legal with sponsons inflated. 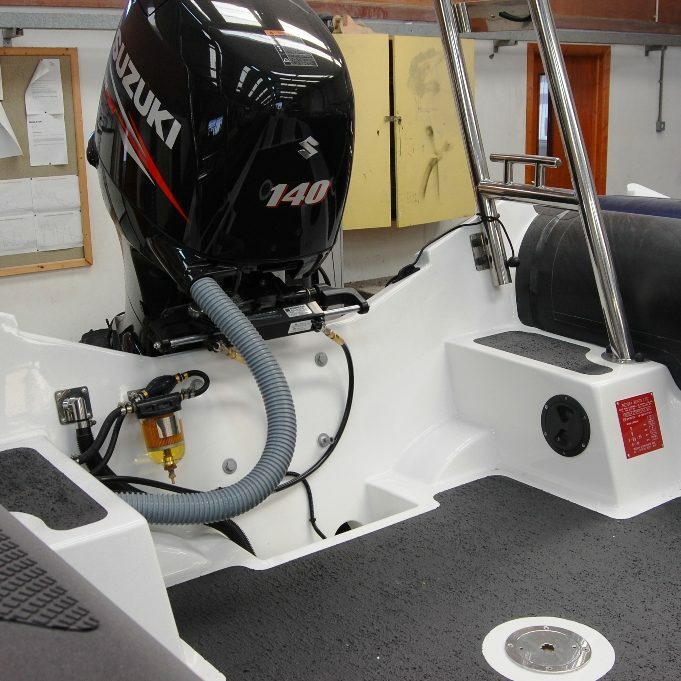 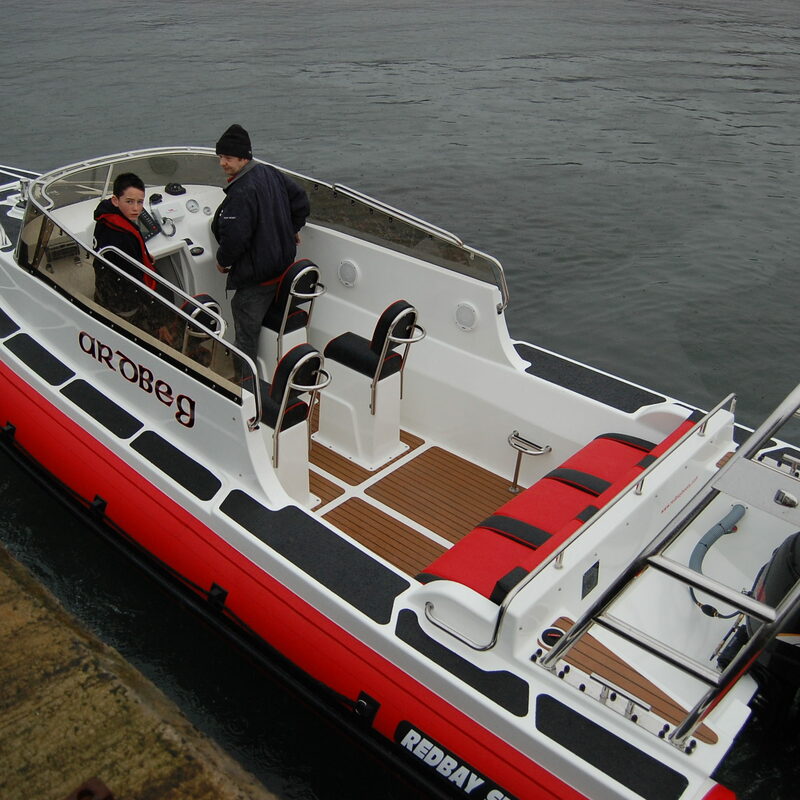 The Redbay Stormforce 7.4 is on of the most popular boats in the range. 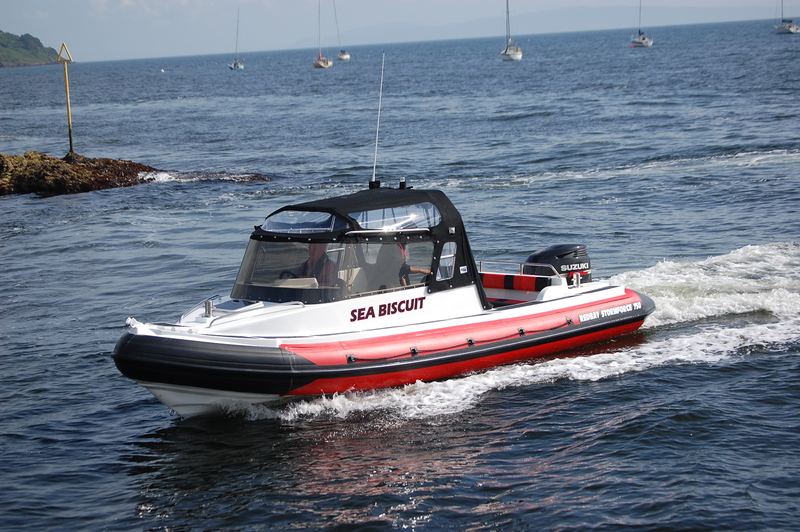 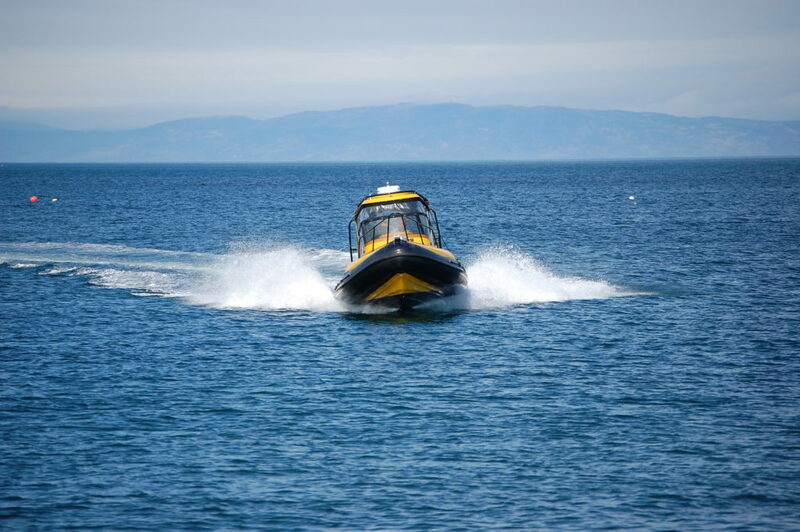 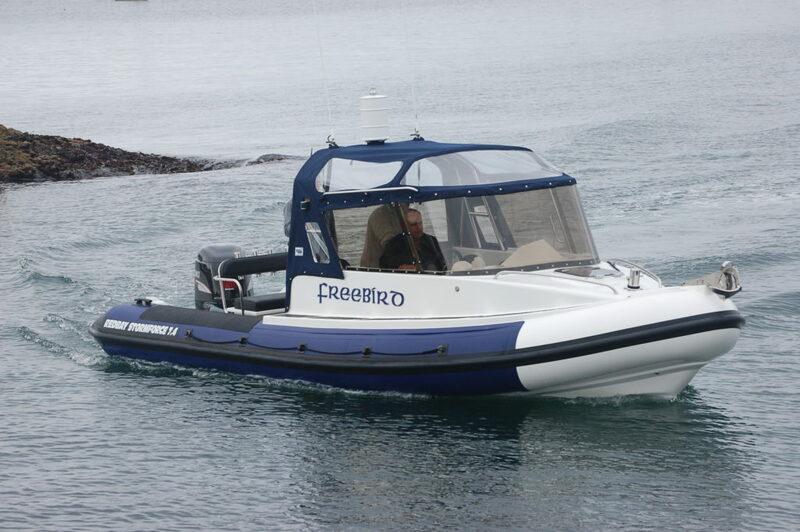 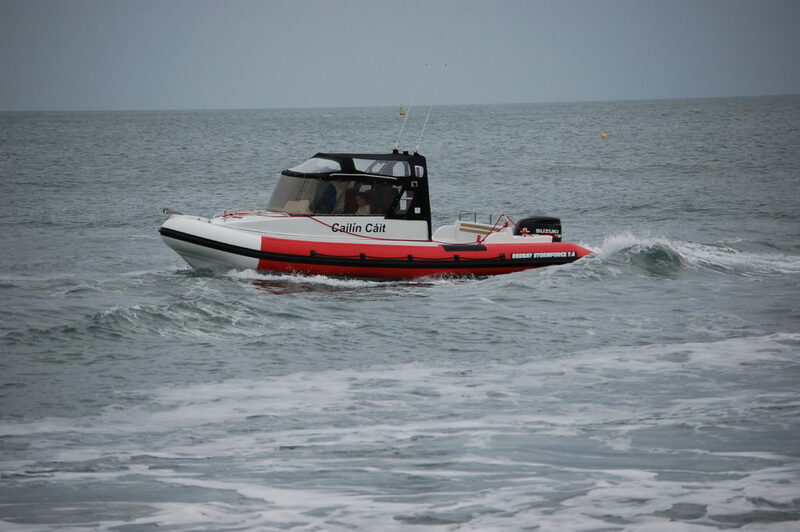 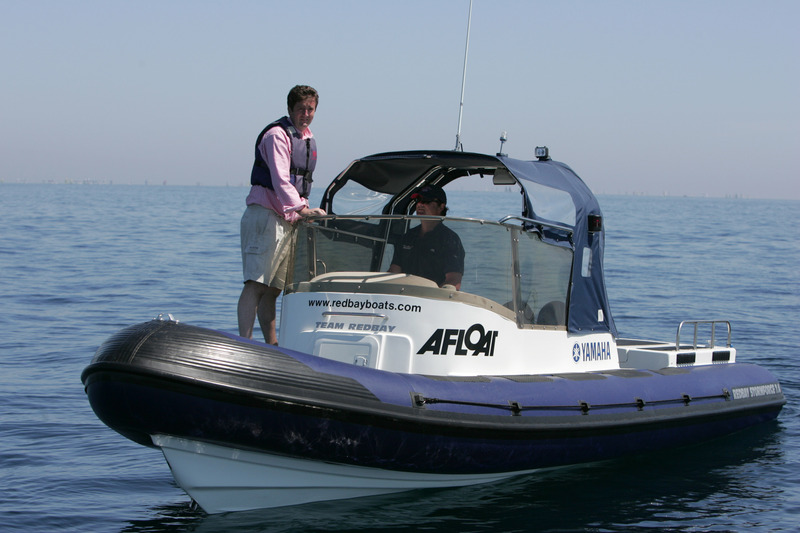 The high bow, deep–V hull and wide beam combine to make an exceptional offshore all weather RIB and it’s available in various configurations including outboards, diesel sterndrives, open console, wrap around or forward cabin. 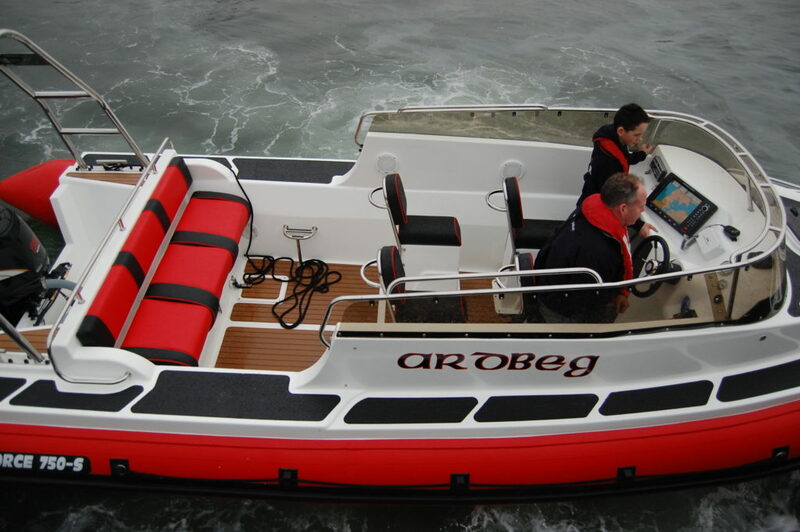 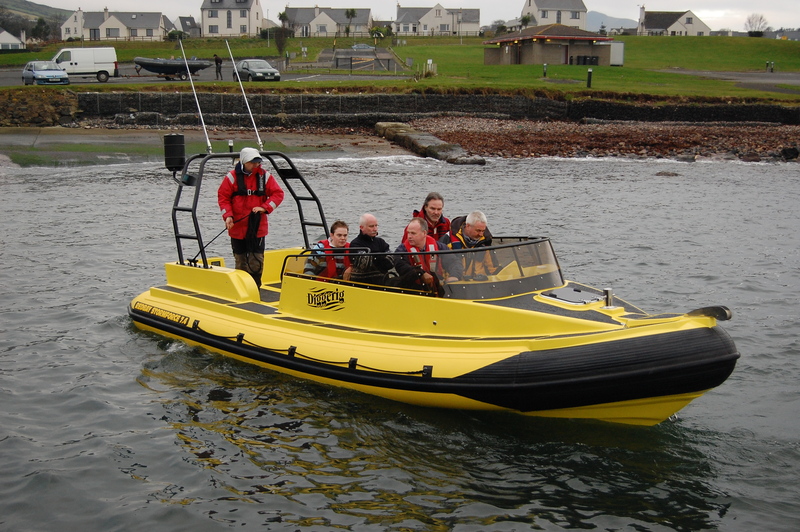 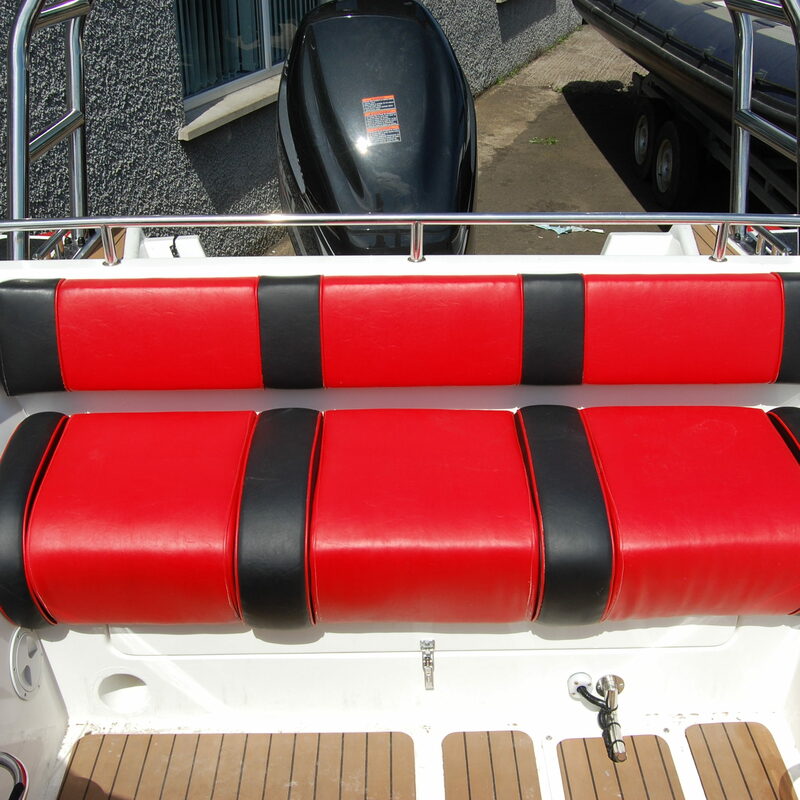 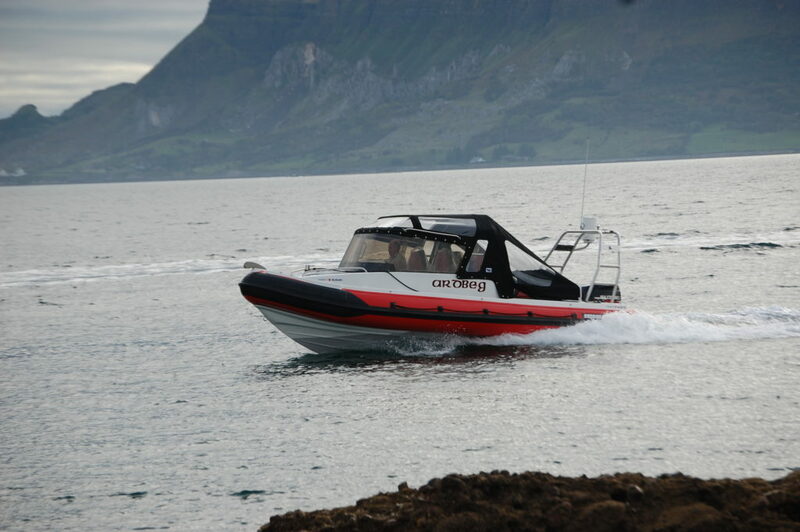 The 7.4 is widely used for cruising and many have completed Round-Ireland trips. 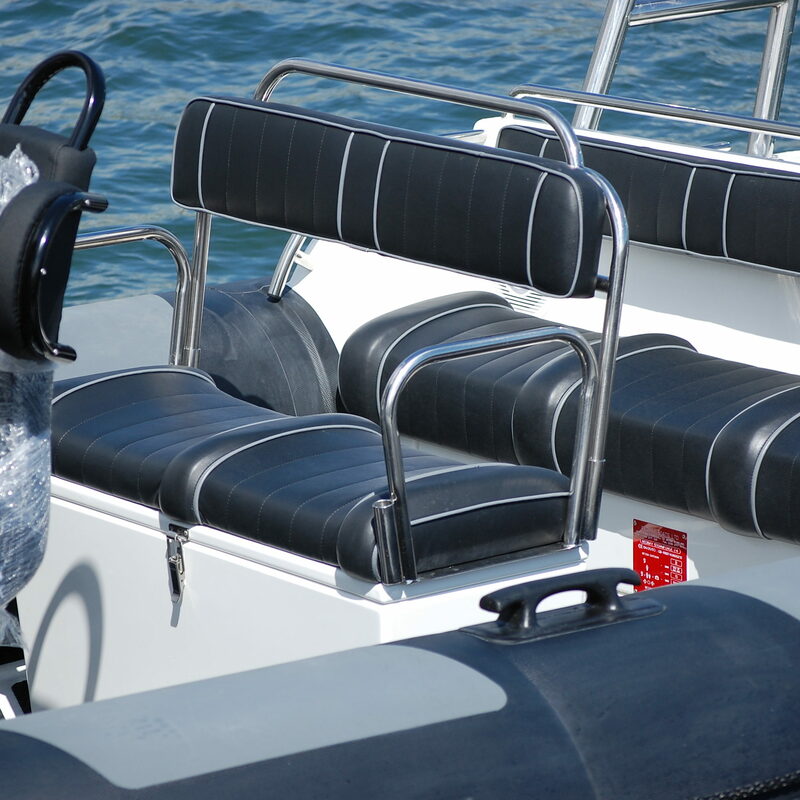 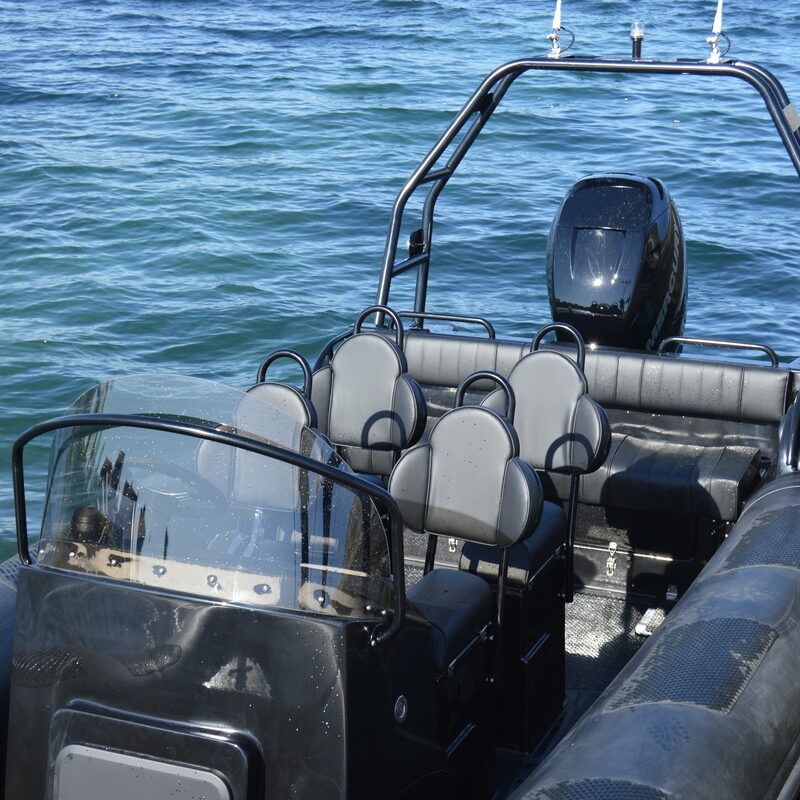 The 7.4 canopy version gives you the option of having an open boat with a removable canopy top cover but when the weather turn you have the protection of the canopy.